Picture Fryderyk Chopin’s face. 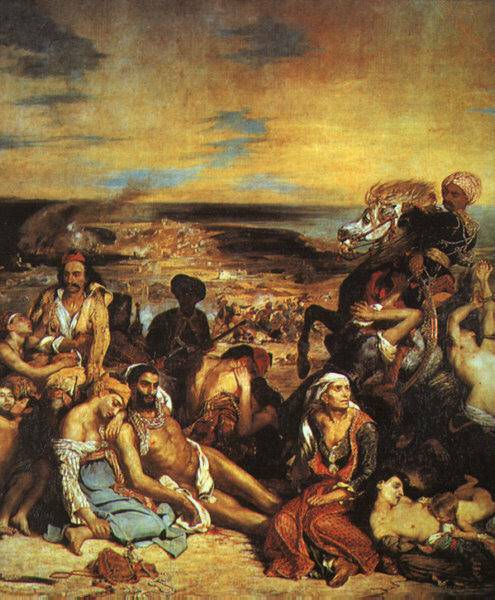 Chances are your mind’s eye is recalling a painting by Eugène Delacroix. There are actually plenty of Chopin portraits left to us, but it’s Delacroix’s image that demands attention. It captures “the image of the Romantic hero at its purest,” as art historian H.W. Janson put it. It’s also an image of Chopin as seen by one of his closest friends. Delacroix was 12 years older than Chopin and already famous, thanks to his dynamic, richly colored painting "The Massacre of Chios" from 1824. It established Delacroix as a leading Romantic artist.